Friends for Asia is an organization not connected or supported by any government or religion. We are completely independent. For this reason, a fee is required to participate in our volunteer and intern projects. These fees go to support all areas of our organization, including staff salaries, rent, office expenses, internet advertising, utilities, insurance, the expenses for our vehicles, etc. Considering we are a small volunteer organization, our interests lie in supporting organizations in Asia with offering them competent and hard working volunteers and interns. 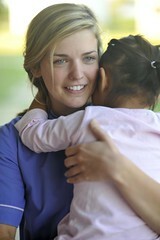 We keep our fees as low as possible, and have some of the lowest volunteer and intern project fees offered in Vitnam.